Sometimes you open a freshly created Hackaday.io project and discover more than you expect. A moment of idle curiosity turns into a lengthy read involving several projects you wonder how you managed to miss the first time around. So it was this morning, with [Yann Guidon]’s documentation of his eBay-purchased rubidium frequency standard. In itself an interesting write-up, with details of reverse engineering the various different internal clock signals to derive more than just the standard 1-second pulses, and touching on the thermal issues affecting frequency lock. 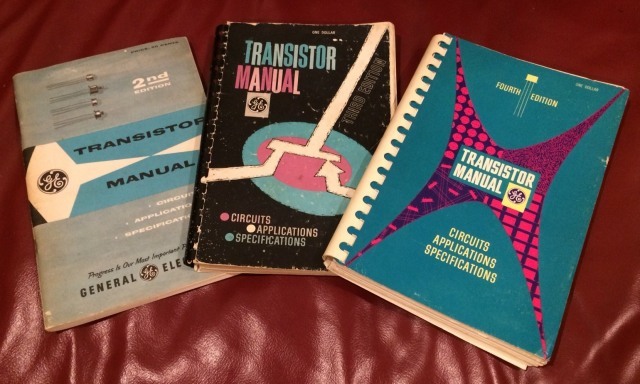 Transistors were EXCITING back then! It is when you look at his intended use for the standard that you’ll see the reason for the lengthy read. He has a couple of discrete component clock projects on the go. His first, a low-powered MOSFET design, promises to break the mold of boring silicon bipolar transistors with hefty power consumption. It is his second, a design based on germanium transistors and associated vintage components, that really stands apart. 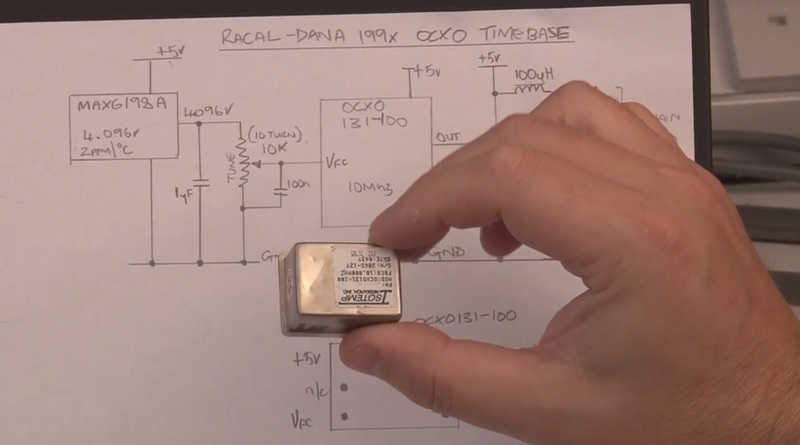 Not a Nixie tube in sight, but do browse the project logs for a fascinating descent into the world of sourcing vintage semiconductors in 2016. Neither clock project is finished, but both show significant progress and they’ll certainly keep time now that they’ll be locked to a rubidium standard. Take a look, and keep an eye on progress, we’re sure there will be more to come. We’ve featured a couple of rubidium standards here in the past. This rather impressive clock has one, and here’s one assembled into a piece of bench equipment. They’re readily available as surplus items for the curious constructor, we’re sure that more will feature here in the future. You could cruise the Internet bazaars for a talking clock but you’ll never find one as awesome as this. Just look at it… even if it didn’t work it would be awesome. [Art] certainly lives up to his username. His Rubidium-standard atomic real-time clock is surely an example of hardware art. The substrate is a collection of point-to-point soldered perfboard modules. Each laid out meticulously. What does such layout call for? A gorgeous enclosure which doesn’t obscure your view of the components. For this he went with a copper tube frame and a custom fabricated aluminum chassis pan. For the circuit itself [Art] tells us he wanted to build something akin to the old HP nixie frequency counters so he went with logic chips. The pictures and a few video annotations are the only clues we have for how this works. Hopefully your encouragement in the comments will help prompt him to share more about that. Oh, and the talking clock part that we referred to earlier? Every minute you get a readout of the time thanks to a PIC playing back audio using [Roman Black’s] BTc sound compression algorithm. You can find rubidium frequency standards all over eBay and various surplus dealers. They’re actually quite interesting devices, able to generate a 10 MHz sine wave with enough precision to be a serviceable atomic clock. While these standards can find themselves very useful in a lab, they’re only a component, and not a working-out-of-the-box device. [Gerry] decided he would fix that, turning his rubidium standard into a proper piece of bench equipment, all in a single afternoon. [Gerry]’s first step was finding a proper enclosure for his new piece of equipment. Most of the time, choosing an enclosure is practice in the art of compromise. This time, though, [Gerry] found the perfect enclosure: an old piece of video distribution equipment. On the back of this box, there are a ton of BNC plugs, perfect for attaching to random lab equipment and feeding them a signal from the rubidium standard. After going through the video circuit and changing the 75 Ohm outputs to 50 Ohms, [Gerry] wired up an eBay power supply, fan, and a small circuit with an 8-pin PIC to complete his new tool. The rubidium standard does get freakishly hot, but hopefully mounting it to a large aluminum box with a bit of cooling will keep all the added electronics in working order. [Gerry] did all this in just under 5 hours. An impressive feat, given that he probably spent that much time editing the video, available below.